Pirate DJs clambering onto 22-storey estate rooftops and feeding radio receivers through ventilation shafts sounds more like legend from Hackney’s old days than a pastime for the YouTube generation. 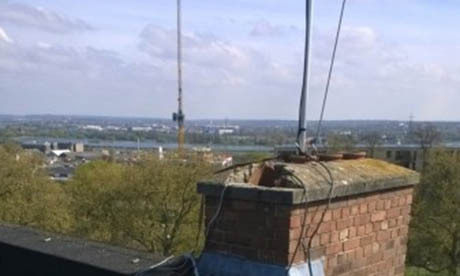 The Council’s housing team and broadcasting regulator Ofcom has announced it has dismantled 29 radio masts over the past year in northern parts of Hackney — proof if you needed it that illegal broadcasting and the urban sub-culture that goes with it live on. While the music crackling over the airwaves might have moved from jungle to house and drum and bass, Ofcom’s objections to pirate radio remain the same – safety, damage to property, anti-social behaviour and interference with air traffic and emergency services. Glanville said the Council would continue to take a ‘zero tolerance approach’ to illegal pirate radio operators, and since the Wireless Telegraphy Act in 2006, prosecutions are more common. In 2005, Rinse FM’s DJ Slimzee was given an ASBO, thought to be the first of its kind, which banned him from any rooftop in Tower Hamlets, where Rinse had been broadcasting from at the time. Clive Corrie, Head of Spectrum Enforcement at Ofcom, said Hackney used to be a centre of illegal pirate radio activity but that over the past few years the number of broadcasters has been “significantly reduced”. I track down Jay, 34, (not his real name) through a pirate radio forum who has been earning a living as a pirate radio ‘engineer’ since he was 12 years old. He says the clampdown is just lip-service and that many stations which appear to have made the move to online are still broadcasting illegally on FM too. Jay estimates there are 20 illegal stations currently operating in the Hackney area and “80 plus” on the air across London daily. In Hackney he says there are “five playing house music, five playing Jamaican and the other ten are African or Turkish stations”. Ofcom’s problem, according to Jay, is that transmitters are being elaborately secured from “rig thieves” looking to sell the devices on at a heavy profit. Ofcom strongly urges those in pirate radio to switch to community radio, a “legitimate” route onto the airwaves. But Ian Chambers, co-founder of community online station East London Radio says that Ofcom’s roll-out of community stations has only had limited success. “East London is only getting a few licences, and with heavy costs and constraints of setting up and operating legally. “Radio as a whole seems to be becoming ‘less local’ – with LBC and Capital now being national brands and BBC local radio losing funding,” he says. But if stations can broadcast cheaply online, why the obsession with accessing the FM airwaves? “DJs and producers just want to have somewhere to play their music, it is harder than you think to get stations to play your music,” says Jay. For some, pirate radio never went away. 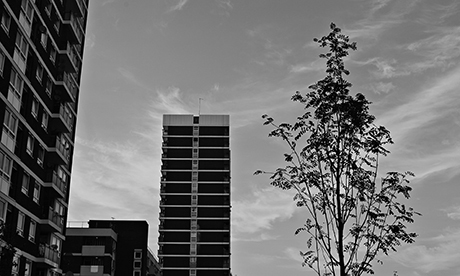 Sue Howieson, a Hackney artist and regular pirate radio listener, lived in Rachel Point on the notorious Nightingale Estate between 1987 and 1995. Howieson was part of the jungle scene and remembers watching DJs from Rush FM abseil through the window from her fifteenth floor window. “I think it’s the same as ever,” she says. “There’s a demand for pirate radio and it’s not going away. These people are motivated by music as a way out. “With young people today it’s like the eighties all over again. It’s a do-it-yourself culture”.